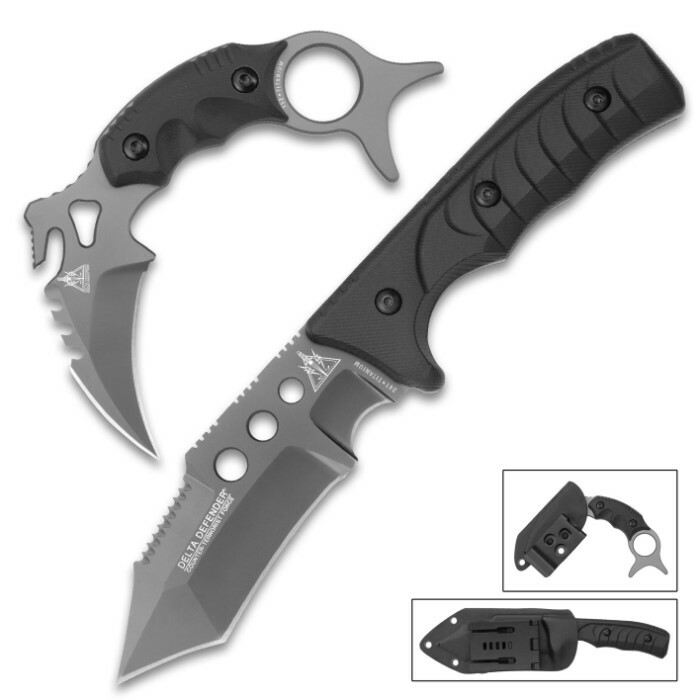 Delta Defender Two-Piece Set - Titanium Coated Blades, Advanced Composite Handles, Tactical Design, Molded Kydex Sheaths | BUDK.com - Knives & Swords At The Lowest Prices! Versatile, intuitive and expertly crafted, the Delta Defender Two-Piece Set is built for serious tacticians and real-world use. With rock solid construction and cutting-edge engineering, these knives are undeniably professional grade - built to withstand years of vigorous use in even the harshest conditions. The robust 4 5/8" blade of the fixed blade knife has multiple distinct edges, each especially suited to specific cutting tasks. Impeccable balance and weight distribution, paired with an ergonomically contoured handle, makes it extraordinarily easy to manipulate, feeling more like an extension of your own hand than a separate tool. 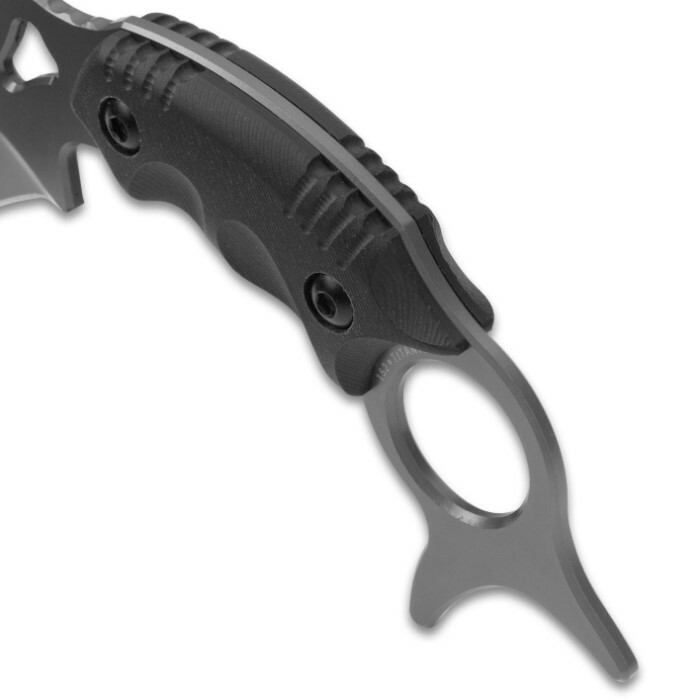 The karambit knife has a menacingly arched, talon-like blade, which easily penetrates tough materials like cowhide and metal, efficiently ripping and tearing like a raptor clawing apart a fresh kill. 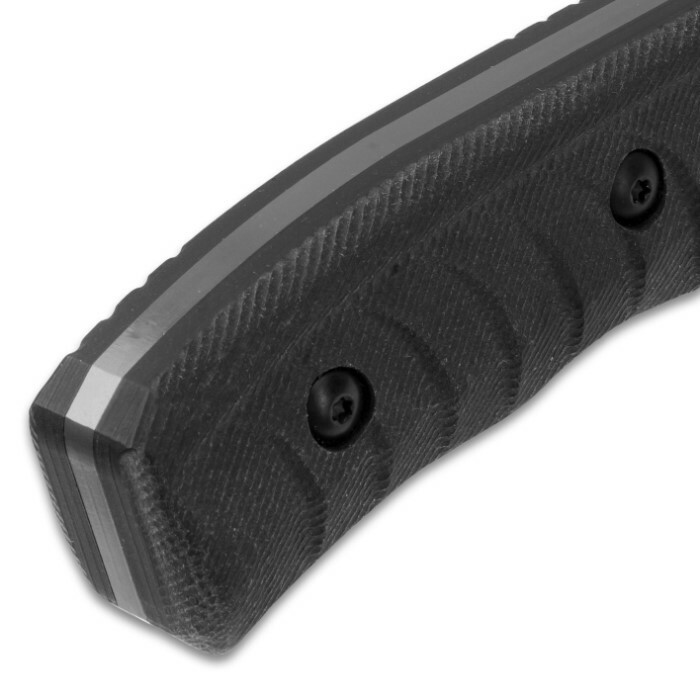 Ergonomically contoured and subtly textured, with generous finger choils for a stable grip, the handle features a unique finger ring that allows for multiple grip positions. 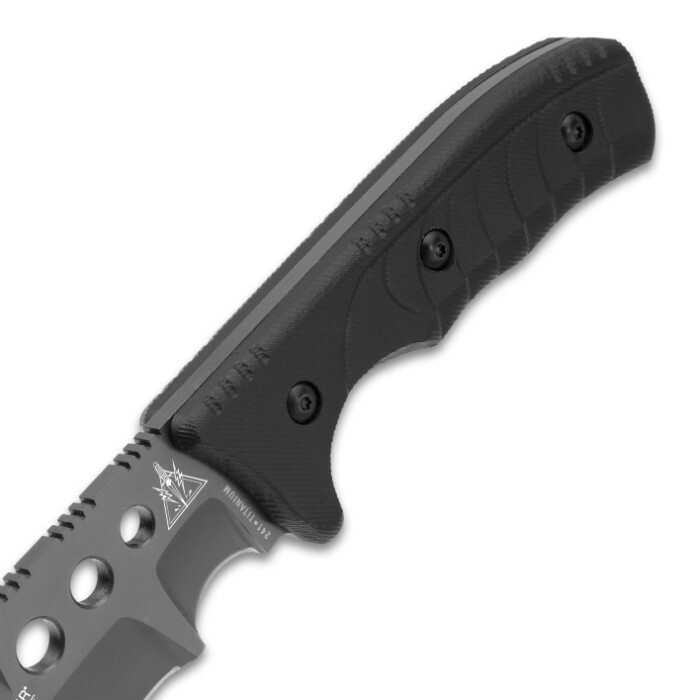 Each of the knives’ blades are forged from stainless steel electroplated with non-reflective gray titanium and the handles are made of an advanced composite that is durable and weatherproof. 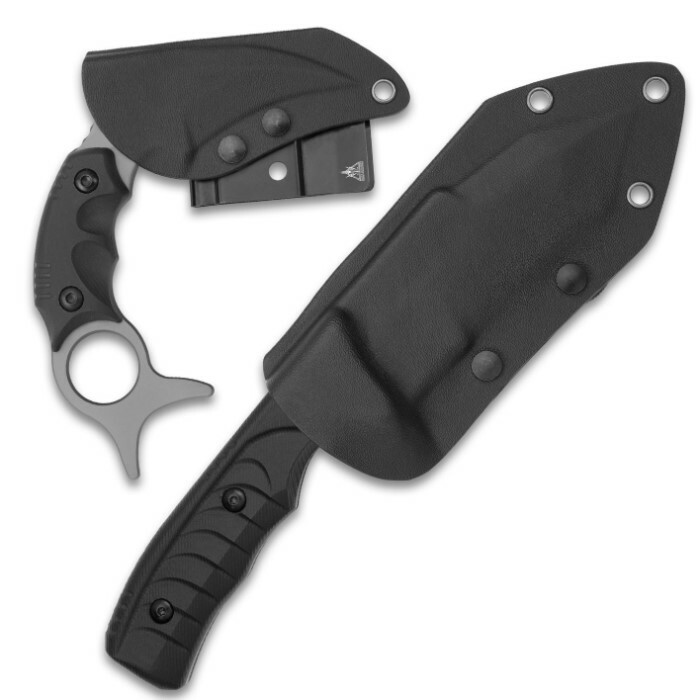 Each knife comes housed in its own molded Kydex sheath. 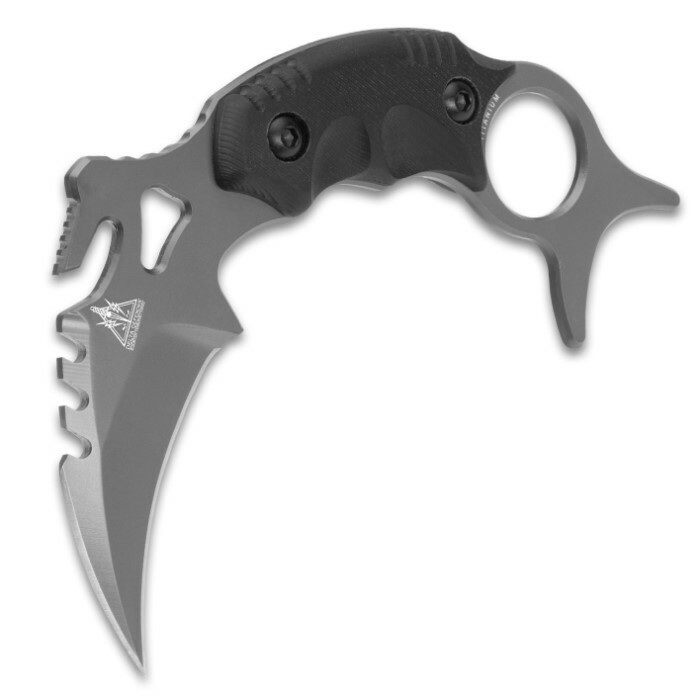 this is easily the best karambit I have every held, just don't try flipping this blade to extend its reach or you will cut yourself like I did. I love this set, the weight, balance, size, and sharpness are more than I could have asked for. This set is easily a steal at twice the price, so much so that I am ordering another set right now. If you are on the fence, buy this set!